I'm about to migrate out exchange 2007 server to exchange 2016, and have found Codetwo migrations software, it should to do it, but it require I "Prepare a clean target Exchange environment in a new Active Directory forest"
What does that mean, is it that I have to make a new domaincontroller with a different domain name? How can I run a VBSCRIPT file from a button in HTML? SAPI-FULLRELEASE1.9-.vbsI need to know how to add a HTML interface to my personal assistant. Please help! I want to use AD Connect only to sync AD information and not Exchange info for I'm migrating on premise Exchange to Office 365, however, I'm using a 3rd party tool to migrate.. This being CodeTwo Office 365 migration.. So.. Here's where I'm at.. AD Connect synced users to Office 365 Online Exchange, however, the mailbox isn't created yet for it assumed I'm migrating via AD connect and not my 3rd party tool.. So.. On the user details page I get the below message. I found a few articles stating to not sync the ExchangeGUID, however, the accounts are already synced. So.. What should I do? I have tired changing the dates, deleting the code and re-entering it. I would like to know if there are any free solutions to set recurring Out-Of-Office Manager replies? Something like the Out-Of-Office Manager from CodeTwo Software but then a freeware or opensource tool or Powershell script. We have a Office 365 environment with E3 licenses and are using Exchange Online. We do not have an on-premise Exchange Server. The users are being synchronized from our Active Directory to Office 365 using Azure DirSync. I keep getting errors that may be causing some problems. At some point our exchange servers starts rejecting connections and I get two errors in my event viewer logs. See the errors below, also Code 2 Exchange Data Migration service just says starting but never starts.. Is it even necessary? (Process w3wp.exe, PID 1248) Fail to create runspace for user Digitus89.hosting/Microsoft Exchange System Objects/Monitoring Mailboxes/HealthMailbox86a4ec7017034ae8ad56f0bc624f76ce because the user has reached the maximum number of connections allowed. Max allowed connections: 18. Outlook 2016 not displaying signature image. I've been researching this all day and so far no solution offered on the Internet has worked. We have implemented a Signature Management solution from CodeTwo to handle our user's signatures. It works great for our Office 365 Webmail, but our local install of Outlook 2016 is not cooperating. The signature is updated with whatever changes are made in the CodeTwo admin program, but in the place of the signature image, I simply see a red X and the text 'The picture can't be displayed'. 1. I've tried using both an image accessible via http URL (This is the one that works for our Office 365 Webmail). - but when viewed in Outlook, I just see the red x and the text 'The picture can't be displayed'. Viewing an exchange public folder calendar on your cell phone. I am running into a problem where my management staff would like to be able to view and edit are team calendar which is based out of a public folder. I found CodeTwo Software would do exactly what we want just at a price tag of around 1000 dollars. which is more then we want to spend on 1 calendar. Importing/updating pictures within active directory. I am using the software CodeTwo Active Directory Photos to import picture into AD. Worked perfectly for the initial import, but now i am trying to update a pictures and its been close to 24 hours and the picture has yet to update in outlook. 1) Do you know why the picture would not be updating within outlook with the CodeTwo Software? 2)Is there an easier way of doing this so it can update real time instead of having to wait for it to propagate? AD and Exchange Environment and all the user account are linked with the proper exchange account. I need to migrate my 2003 exchange server to 2008 R2 and Exchange 2010. Are there step by step instructions for this? It will be an "on Premises Only install. I need to migrate off of 2003 server and exchange to 2008 R2 and exchange 2010, are there specific steps and a guideline to follow. once I start do I need to finish or can I build the server, install exchange and then start the migration? is it cleaner/easier to just have users save all of there emails to an archive folder and start with a new exchange 2010 box and not migrate at all? We have a public room calendar within exchange that we are needing to clean up 8 years of data on because we are moving it to a program called Code Two. We don't want to move these items, but we want to move the most current 3 years of data. We are running SBS 2003 R2. Is there a simple way of cleaning up these past years of appointments without having to go day to day and deleting them manually? 2- our end user know nothing about IT and we want the end user to feel like he do normal attachment procedure as he used too . so if he get link or html notification or text notification this for us not good . we need the user to see the type of attachment like pdf - JPG - doc - etc not URL link for the file location even if the file store in shared file system . We have been using CodeTwo signatures which is amazing at getting images and custom signatures. Intermedia only has the ability to globally add signatures and uses the AD information to populate. This was going great but I had a few issues. The users now want 2 separate formats which is not possible due to having a global signature. I wanted to see if it was possible to create a signature manually for each user and add it as their jpegphoto photo and use it that as the signature and how this can be done. Basically I want Intermedia to pull up "business cards" and not worry about pulling AD names/email/address etc. Using Windows 2012 AD server. Do you know what would cause the searches to fail on Exchange 2010 databases ? Users are reporting that they are unable to find all items during a search. Helpdesk knows how to fix the problem by recreating the search files or to go around it by building new a database and copying the mailboxes. However we are trying to find out what is causing the frequent corruption. The Exchange server is Exchange 2010, Trend Micro Scan Mail for exchange mail filter, code two pro signature and Symantec Backup Exec 2015 remote agent also run on the server. This link is a discussion of similar problems with DAGs and one user traced the problem to an anti virus product. where i have to change in EMC to let all servers use the hub transport which installed and configured on EX1 and ignore the other hub transport servers . I have configured a mailbox for staff to email their IT issues to. Is there a way I can remove the text and images from the email BEFORE it arrives into the mailbox. Maybe with a hub transport rule or a third party application that can forward it on? Can I do a 2003 SBS Exchange to 2012 server and 2013 Exchange if I DONT migrate exchange, but just import the PST files? I know you cannot do a direct migration and I know there are code two type tools that sorta allow it with cross forest and other domains etc, but it all seems like a lot of work for 10 users. so here is my question. Can I build up a new 2012 server with AD , DNS, DHCP etc. and then install fresh on the 2012 box 2013 exchange and create new mailboxes for the AD users already there (from the 2003 AD migration) and just import the PST files that I got from doing an EXMERGE on the 2003 SBS server? Would I have to completely decommission the 2003 box before exchange 2013 is installed leaving mail in limbo for a day while all that happened? Anyone familiar with this product? Calendar Sync, Contact Sync and GAL Sync that works with Exchange ActiveSync. Works with iPhone and Android. My uses utilizing it a lot and it breaks unfortunately. Unfortunately it breaks so often and to fix it takes 45min to few hours. Another I heard Code Two Exchange Sync but I heard its even worse. Anyone have other suggestions besides that? Obviously SharePoint, but we can't approve the product just for this feature. Company using Exchange 2010 with Outlook 2010. Having issues with my exchange server, running exchange server 2010 sp3, all emails keep getting stuck in the submission queue and i need to keep deleting the queue and recreating it for them to process correctly. Any insight to why this would start happening randomly after functioning fine for 3 years? Event viewer does not show any errors and the rest of exchange is working flawlessly. We are using exchange 2003 with outlook 2010. We use code two for exchange for our email signatures. I have created a signature which is our company logo with details on with a jpg file, sometimes it doesn't display for the recipient it shows up as an attachment jpg? Is this something I can fix or is it dependent on their email client settings and spam filter? How to setup signature on Exchange 2010 ? 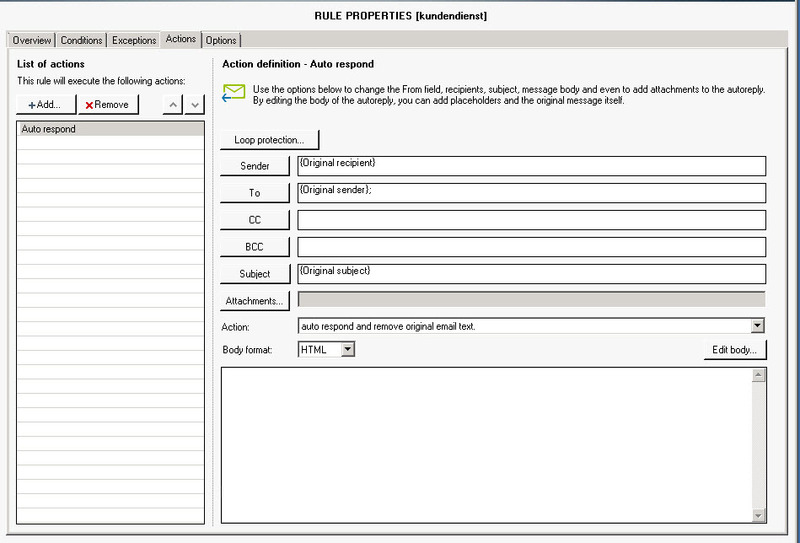 How to manage signature on Exchange 2010 ? How to assign signature template to outlook 2010 client ? We are using Exchange 2010 SP3. I created a disclaimer that goes out to external users but what we have noticed is that when we reply it is always at the bottom off the email. Is there a way to place it underneath the reply and not at the bottom of the email ? Is there a 3rd party soft , possibly free or something else that could help me? We have exchange 2007 runnung on W2003 R2 SP2. I need to be able to have people in the field to be able to receive thier calendar and shared calendar on their phone. I have looked for a solution be everytime I think I have one the software does not work or no support to get it too work. My question us has anyone have something like this running? This one is strange -- I hope I can explain the situation. I work for a school district and each school has a series of Public Folder calendars in which to record their school functions etc. I have one user who has somehow managed to add the Public Folder calendar to his Outlook calendar as a shared calendar. He's now added a lot of the school's functions to the shared calendar in his Outlook but none of those activities actually show in the Public Folder calendar. Now he wants to share the shared calendar he has in his Outlook to the whole campus but it's not a name that shows up in the Global Address List and I don't see it if I open the user's calendar.